The Luhabra are similar to pterodactyls, with a large pair of wings and a unique bony crest. 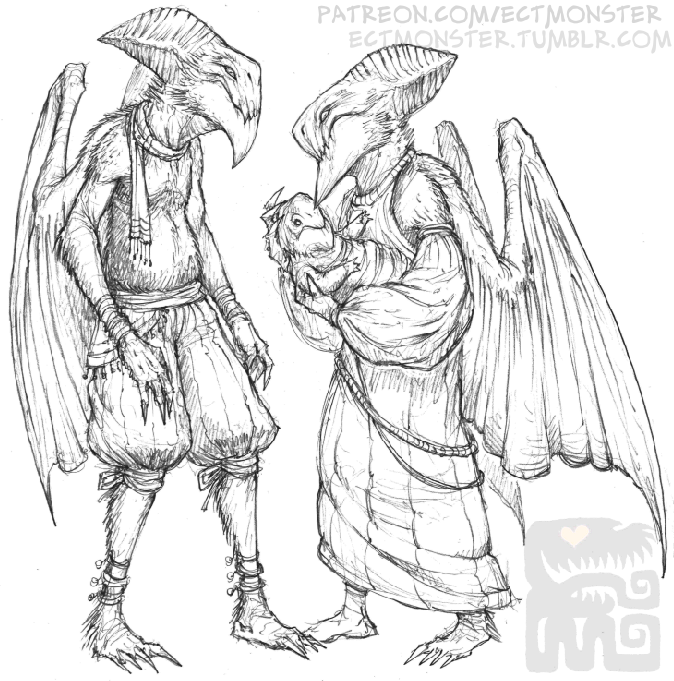 The Luhabra are the only known race capable of flight, and because of this, many other races (especially the Shomu) harbor an innate resentment towards them. “Chimney-shitter” and “Hollowbone” being the most common slurs. Luhabra culture often refers to other races as the “low folk”, and they have a reputation for being condescending and prideful. Despite this common stigma against them, they have a rich cultural heritage and have been a contributing part of the Imperial houses for centuries. 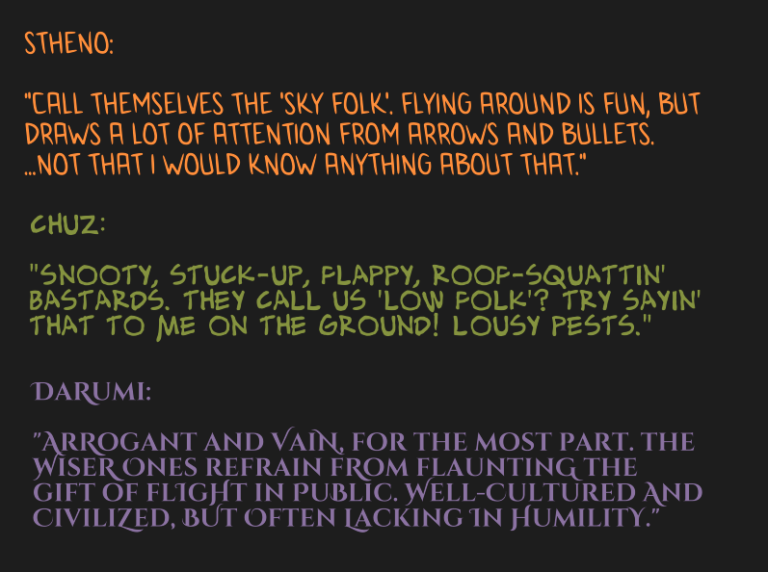 Most provinces allow Luhabra to fly freely wherever they please, though there are many laws against loitering on rooftops. Luhabra often sentence criminals among their kind to have their wing membranes cut and bound, rendering them flightless until they heal. More heinous criminals will have their wings amputated entirely. To most Luhabra, there is no harsher or more shameful punishment.